STEP 1.2: Click the “Manage DNS” button for the domain that you want to use. STEP 2: In the DNS Management page, click the “ADD” button and add the following. STEP 2: Then simply click Advance DNS tab. In the Advance DNS page, click the “ADD” button and add the following. 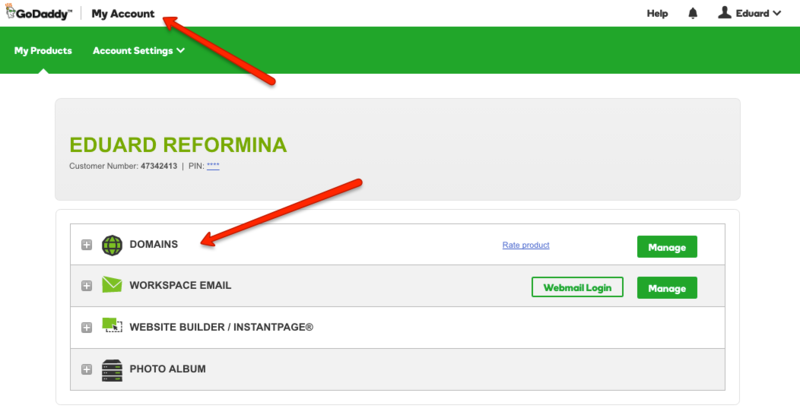 STEP 4: Simply enter your custom domain (including the subdomain eg; www), and then click the “Map Domain” button. In this lesson you will learn how to easily import all your existing content to Impact Instrument. If you’re using wordpress, blogger, or any CRM that outputs a WXR (.xml) file, you can upload that file to import all your content to your Impact Instrument site. Simply follow the steps outlined below to easily import all your existing contents. STEP 3: Choose the file you downloaded when you export your content, then click “Upload file and import” button. STEP 4: Assign an author for your uploaded contents, then choose if you want to also import all your attachments by checking or unchecking the “Download and import file attachments” options. After that, simply wait for the uploading process to finish. You can also read this post about Importing Content in WordPress.